Five years ago, I was inspired to start Themify by a vision to build a tool which allows designers (like myself) to build WordPress themes without coding skills. Today, I’m proud to announce that my vision has come true. Say hello to Themify Flow, a free WordPress framework which allows you to build and customize themes without requiring any PHP or CSS coding. Everything is done within WordPress with an intuitive drag & drop interface. What Is So Cool About Flow? Flow has made it possible for designers, developers, and end users to create themes using frontend drag & drop interface with live preview. 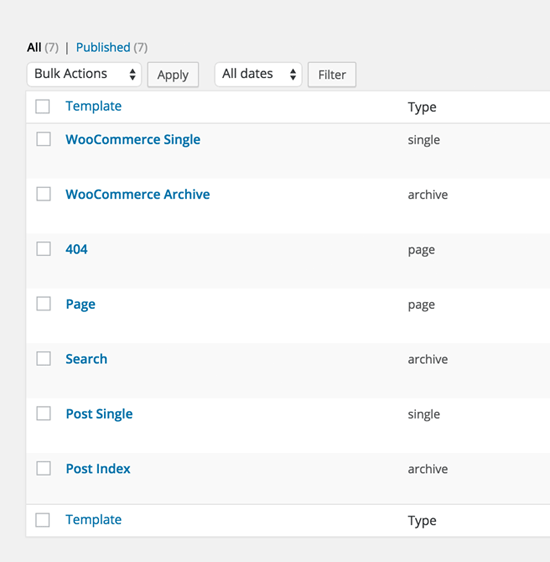 Flow themes are exactly like WordPress themes, in that you can activate, edit, import, export, delete, and create them from scratch. What makes Flow theme different is that you can customize the header, sidebar, footer, styling, and templates by yourself . No template editing or having to create a child theme. 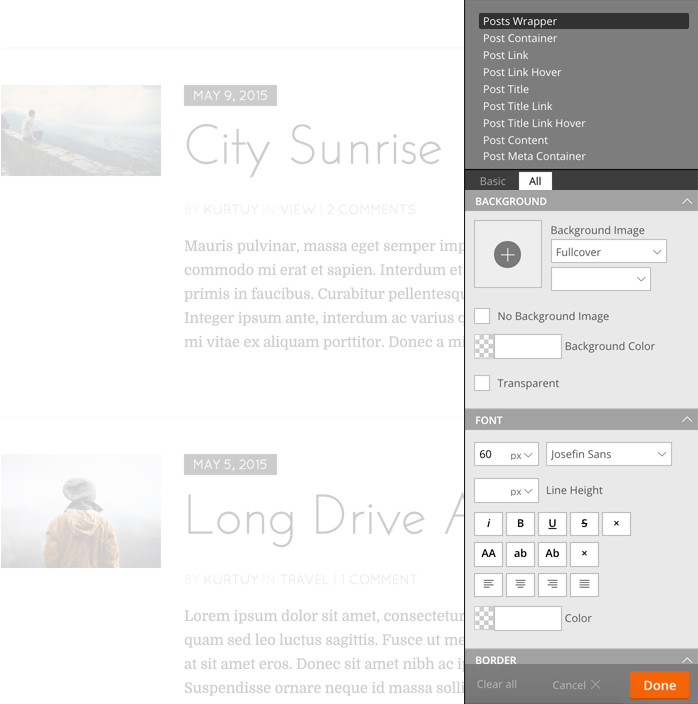 Flow uses the same logic of WordPress template system. You can create templates based on the type of page view (archive, category, tag, post, page, homepage, and even custom post types) you’d like to use. Of course with Flow, you don’t have to write those complicated PHP template tags or interact with any code whatsoever. For those who are no good with CSS, you will like Themify Flow’s Styling Panel. It allows you to style literally all elements with a live preview. The styling data will generate a CSS file on your server, for caching and fast page load purposes. If you have the CSS skills, design styling can be written in a child theme stylesheet. 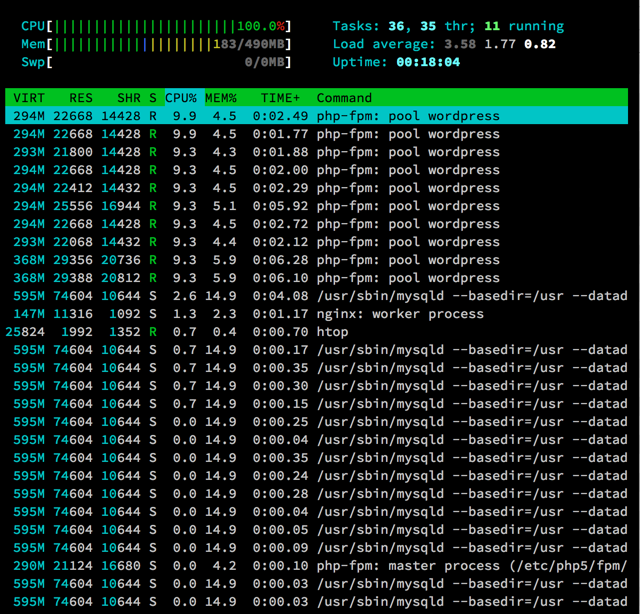 Rasto Lamos did a complete performance analysis of Flow and commented: "Theme builders are usually heavy, taking quite a lot of server resources (memory and CPU), thus slowing down the site. Not in the Flow’s case." Head over to ThemifyFlow.com to download Flow and try it on your WordPress. Let me know what do you think. It will be one of great frameworks! Looks really interesting and amazing! Your ideas and concept is unique and can be beneficial for many designers like me. Keep spreading your knowledge with us, it is really inspiring. Great Idea and the generated code looks good. Is the builder free for designers to use or costs? The Flow framework is 100% free. Anyone can download and use it. Now that’s something wonderful! I like the Flow concept. Nice effects :) But Im more worried about the browser compatibility issue. Great job. Nice Effort and looks as a great idea! Is this kind of like Upfront that WPMU DEV is working on? Wow this is a big game changer for web designers. I have been looking for a reliable framework for WordPress in order to avoid doing it all from scratch. Thanks for this information. Ccomparing with Visual Composer is much much faster! New functions the rather only a matter of time? Respect. The article is really great!The use of themes and templates cannot be underestimated as they introduce a huge range of opportunities to the user! Themify Flow is visual and easy to use tool to build WordPress theme. Nothing beats coding a website for sure but excellent job on Themify Flow, when I get some free time I’m looking forward to checking it out. It definitely has a different feel then most other builders I’ve played around with. I wanted to feature the Abstract Phoenix illustration and its design process on my blog. Of course, credits will be provided. I just wanted to have permission of using the images and excerpts for this post. It’s nice information which helpful to me in Web Design. This one is awesome and informative blog which gives you basic idea of Website design. It seems very innovative. Anyone can give a try on Themify. This is fantastic and especially in terms of how light it runs. We are shifting focus back to core Themify Builder. No further development planned for Flow at the moment. That’s unfortunate as this was truly a promising product, I hope development will pick up on it again in the near future.